Here's proof that renewables are the future. This May, the 2,000 residents of Block Island, Rhode Island are making a fresh start when it comes to powering their lives. 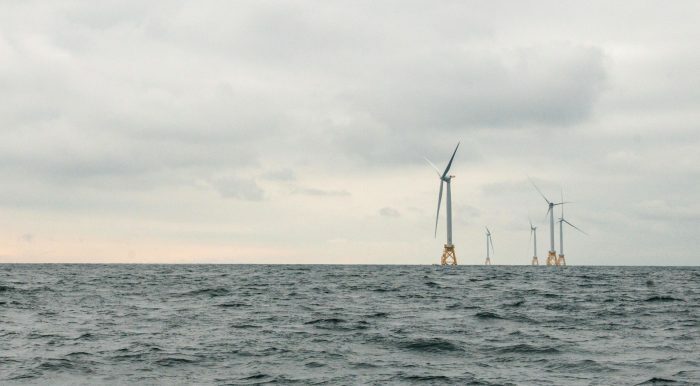 As of May 1, Block Island is the first location in the U.S. to be powered by an offshore wind farm — a wind farm that has eliminated the need for a diesel plant that was burning about one million gallons of dirty diesel fuel annually. According to the Environmental Protection Agency (EPA), diesel produces more carbon emissions than every other fossil fuel except for fuel oil. The Block Island Wind Farm is intended to bring significant change, and not just on Block Island. The project was designed to serve as an example of the tremendous potential that offshore wind power holds for the United States. The Office of Energy Efficiency and Renewable Energy (EERE) has created a wind resource assessment and characterization study, which depicts this potential. Block Island residents, who are now connected to the larger grid will enjoy not only cleaner energy, but also lower and more predictable electric bills. “The simplest way to explain the immediate impact to the bills is that the Fuel Cost Adjustment is going to be replaced by a Standard Offer and Transmission Charge that will be a combined 12.44 cents/kWh,” Interim Block Island Power Company President Jeffery Wright told the Block Island Times. With prices that have risen to five times that amount, there’s no question that the wind farm is benefitting everyone involved. This is just one example of an overarching trend: all over, renewables are replacing fossil fuels on the power grid. Solar is now cheaper than fossil fuels, and experts believe that wind energy will also be competing with or beating fossil fuels in terms of cost within ten years. Even our military forces are making the most of renewables for field operations. However, even though climate change is more pressing now than it has ever been, and immediate adoption of renewable energy sources is necessary to fighting it, change is coming slowly. The success of the Block Island Wind Farm will hopefully prove the viability of offshore wind in the U.S. for anyone who still has doubts. This global battle against the increasingly dire issue of climate change depends on our efforts.